Happy Spring Z Land! 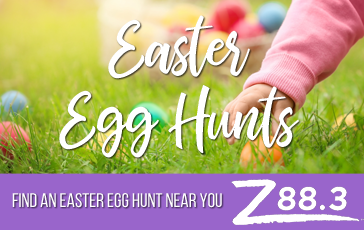 Easter is just around the corner and your Z is so excited to see all of the fun Easter Egg Hunts going on at our Central Florida churches! To find an Easter Egg Hunt near you, check out our listing below. If you are in charge of putting together an Easter Egg Hunt for your church, you can add your event to this listing by filling out the Easter Egg Hunt form.